Snow Lizard is out for blood and that blood would be the title of being the toughest damn case for the iPhone 4/4S. 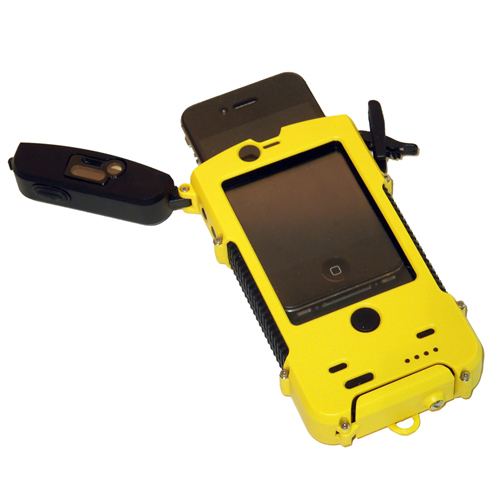 The SLXtreme is the latest in rugged cases that goes one step further, but before I get to that, this case is both waterproof and built to take the shock of a fall up to six feet. That little extra is not only a battery that doubles the life between charges but you can also recharge while out and about with the built in solar charger without eliminating the ability to take pictures in the elements, including underwater. Lets see if Snow Lizard's new SLXtreme can handle what I have to throw at it or if I will end up having to take advantage of my insurance replacement program. The SLXtreme is one solid in case of just about anything polycarbonate case so that you will have no reason to be without your phone or miss a picture due to fear or getting wet or dropping. Sure it is bulky, but my mind was always at ease while my phone was enclosed in this multi purpose outdoor dream. The reason I felt so secure was due to the double-locking latch to seal the phone inside and a screw close latch to keep the charging port dry. Also while afloat, I did not notice a difference or loss in signal like I had with some of the previous cases reviewed, I steadily had strong Wifi signal from the my backyard and was also streaming music via Bluetooth without interruption. Lastly, living in Arizona where there is 300+ days of sunlight, what better feature is there than a solar charger? If out and about, all I had to do is throw it up on the dashboard. On the other hand it is a bit on the unsightly side with the added bulk, but of course in order to be waterproof and impact resistant. The assortment of colors also make sure that if the size doesn’t draw attention, the urban camo, safety yellow, and signal orange colors scream look at me. Also, the charging port is a bit inconvenient to unscrew and access without a screwdriver handy. 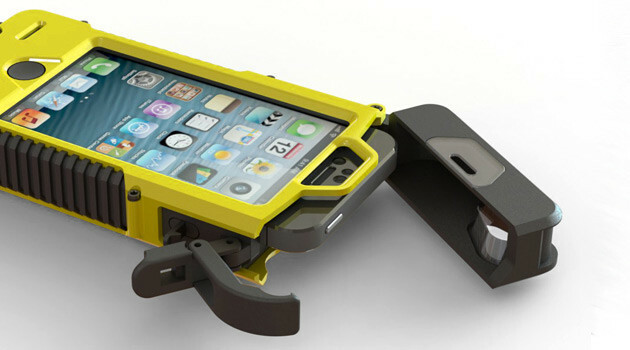 A lot of this bulk over other all purpose cases like The Lifeproof comes from having the spare battery and solar charger, so yes there are other smaller waterproof cases, but in order the have the added functionality, size had to be sacrificed. As an owner of a pool, someone that enjoys the outdoors, and lives where there is no shortage of sunlight, the SLXtreme was a perfect case for me. I always had enough power to use my phone throughout the day and never once did I feel unsure about submerging my phone or using it to take pictures underwater. 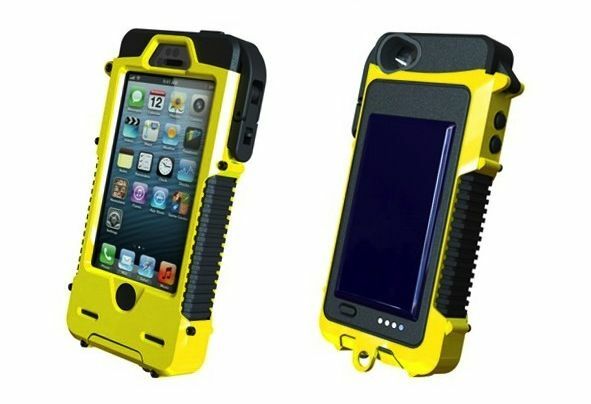 Sure I was not a fan of the available colors, but because this was not my daily case I did not mind, in fact because mine was the safety yellow color, it was a hell of alot easier to locate my misplaced phone at a glance. 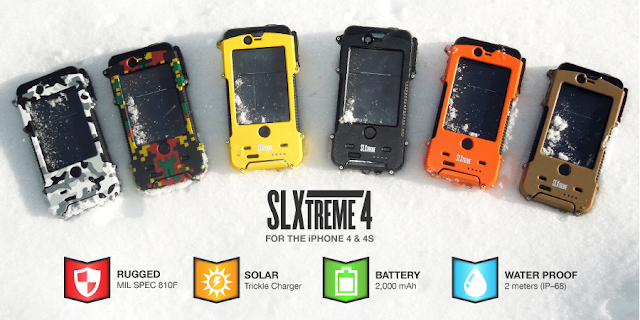 Snow Lizard's SLXtreme is available now for the price of $129.99.